Dylan Christopher Winnik unexpectedly passed away Tuesday, January 23rd 2018. He was and will always be greatly loved by countless family and friends. There is nothing that can ever explain the loss of a beautiful child at such an early age. Dylan was highly intelligent, surprisingly funny, and always full of life busy with his two brothers. On behalf of the family, in the most devastating and humble of circumstances, we have setup this GoFundMe campaign to help ask for any donations whatsoever to help ensure they're able to remember and celebrate Dylan's life with a memorial and funeral. We are also helping to collect donations through PayPal and Venmo too: ￼ For informational purposes: My name is Michael Medwin from Coral Springs,FL. I have been Dylan's Step Dad for several years and we all live together in Coral Springs, FL. The funds from this campaign will all directly go towards memorial and funeral expenses, as well as support services for Dylan's two brothers. I want to take a moment to address everybody that has donated, or reached out with thoughts and prayers for the family. You have lifted us up during this time of need. There is no other way to describe it. Today we celebrated Dylan's life, and without the love that poured in from everybody, it would not have been possible to have such a beautiful ceremony. The service was unbelievably beautiful. We saw countless family and friends come with us to say goodbye to Dylan. You could never imagine how much love the community poured into the celebration. Thank you, thank you, thank you, your support and love has come thru to transform the worst disaster of our lives into a ceremony where everybody that Dylan's life touched was able to celebrate the joy of his beautiful life. I would personally enjoy speaking with each and every one of you to speak about your memories of Dylan. If you never knew him, I'd invite you to call me or text anyway so I could share with you how special he was and how we may help lift you up in your life. Sieze the day with those you love. We have received many inquires regarding the privacy of the memorial. 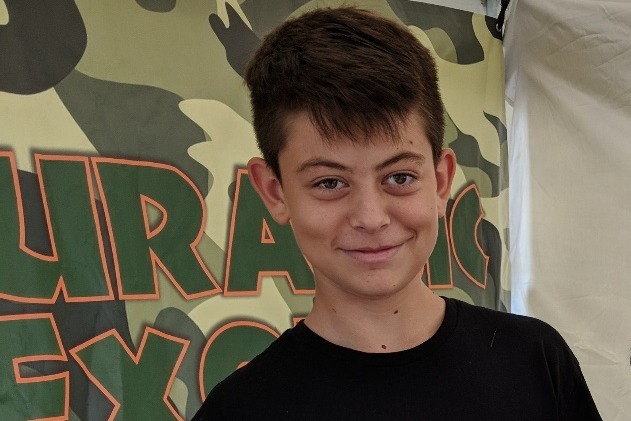 There are countless people that knew Dylan and are devastated by his passing, so the family invites everybody that would like to pay their last respects to Dylan and to spend time with the family to share their precious memories of our beloved Dylan. In loving memory of Dylan Winnik, born June 9th 2005 and passed away January 23rd 2018. Please join us for a memorial service honoring Dylan's life. The support from so many has given the family great comfort and some ability to grieve during this darkest of times. We'll be sure to share memorial and funeral services updates here as soon as they're finalized. From the very bottom of it hearts, thank you so very much for providing your support. There is no way to ever fully express how important and thankful you all are to us. May Dylan's memory forever live on and in some way serve to brighten your lives.